BRINGING FANTASTIC STORIES TO LIFE. 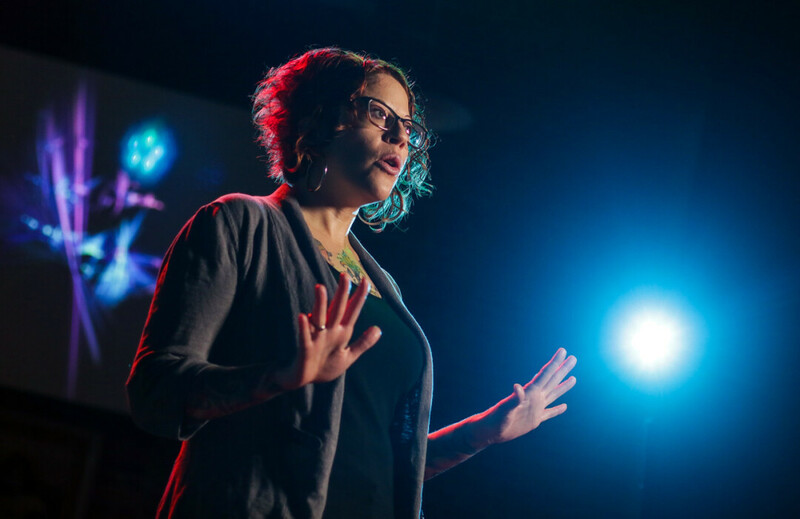 Jodie Arnold is one of the featured storytellers at Volume One’s upcoming Pablo Center stage show, True North, a jam-packed storytelling event like no other. We’re trying something we’ve never done before. This November at the Pablo Center at the Confluence, Volume One is teaming up with Chippewa Valley Technical College to bring the work of nine unique, locally based storytellers andwriters to life in a one-of-a-kind stage show using stunning visuals, a live score by S. Carey and the Bookhouse Boys, and a small cast of additional performers. True North: Real Wisconsin Stories Unfolding Live On Stage runs two nights on the Jamf Theatre stage at the newly opened Pablo Center on Nov. 16 and 17, and it’s a truly unique collaboration between some of the most talented visual artists, filmmakers, illustrators, musicians, and wordsmiths in the region … with a great after-party to boot. The stories told at True North are all over the map in thrilling ways. From a haunted house that drives an Eau Claire family to religious conversion, to a biographical profile of Eau Claire’s infamous “cave lady,” to stories of harrowing police encounters, a legendary local dancer, stolen art, and a misplaced deer carcass – the stories are gripping at times, heart-wrenching at others, and entertaining all the way through. With the addition of digital visuals and performance art – illustration, film, puppetry, acting, dance, music, and more – these become more than just stories. An event like this brings together some seriously notable figures in the region’s literary, music, theater, and art scenes – all for one big show. Between producers, artists, and behind-the-scenes players, there are well over 35 talented folks putting this thing together, all in a brand new arts center. Tickets for both nights of True North are on sale right now at pablocenter.org.